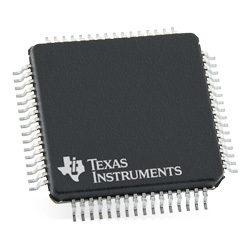 Texas Instruments MSP430FR504x Ultrasonic Sensing MCUs are 16MHz without LCD MSP430 microcontrollers for gas and water flow metering applications. These MCUs provide an integrated Ultrasonic Sensing Solution (USS_A) module that offers high accuracy for a broad range of flow rates. The MCUs are supported by extensive hardware and software ecosystem with reference designs. These MCUs are powerful, highly integrated devices created for ultrasonic water, heat and gas meters. The MCUs gas flow achieves ±1% accuracy up to 12,000litres/hour with a wide dynamic range of 200:1. These devices give optimised ultra-low-power modes such as active mode, standby mode with RTC, and shutdown. Applications include ultrasonic smart water meters, ultrasonic smart gas meters, ultrasonic smart heat meters, and flow transmitters.